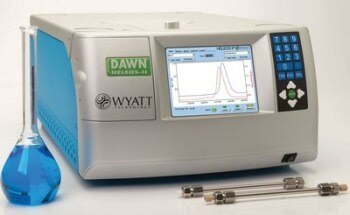 The miniDAWN® TREOS® II is designed to determine absolute molar mass and size to characterize proteins, small polymers, peptides, and nanoparticles in solution. 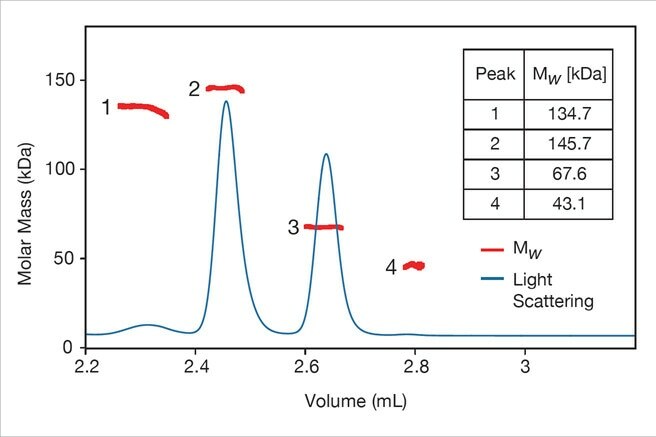 Combined with size exclusion chromatography (GPC or SEC), it eliminates the doubt and trouble of column calibration, for true confidence in macromolecular characterization. 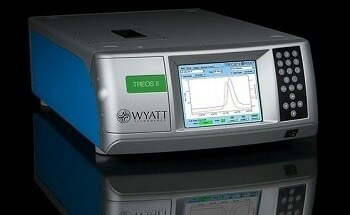 The TREOS II not only provides excellent sensitivity—it further improves productivity because of some unique capabilities: upgradeability to UHPLC, field serviceability, and One-Click Mw™. Added with each miniDAWN is a copy of ASTRA, the most adaptable software package available for examination of online multi-angle and dynamic light scattering. ASTRA and the TREOS II integrate advanced ease-of-use features that help ensure exceptional measurements with just one click. 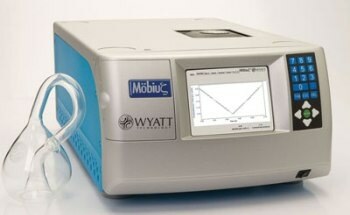 The miniDAWN TREOS II is regularly used along with Field-Flow Fractionation (FFF-MALS) or Size Exclusion Chromatography (SEC-MALS) to establish distributions of molecular weight, composition, and size. 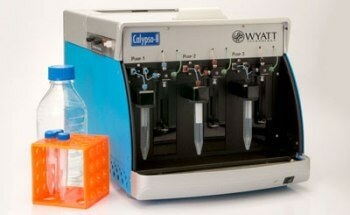 No need to make assumptions regarding ideal column interactions or molecular conformation. The TREOS II performance is surpassed only by the DAWN HELEOS II which covers a broader range of molecular weight and size, with even better sensitivity and extra optional modules. 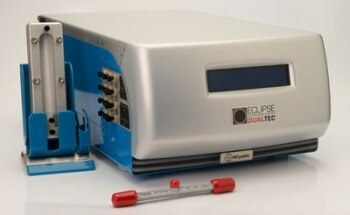 The miniDAWN TREOS II determines molecular weight independently of column calibration. Here MALS shows that the earliest-eluting molecule does not have the highest molar mass. 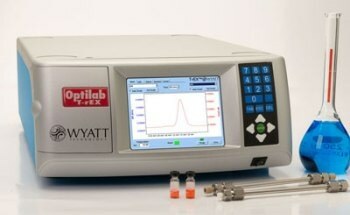 Upgradeability to UHPLC - If users want to transition to UHPLC, the basic HPLC optical module can be substituted with a UHPLC-compatible, micro-flowcell optical module*. 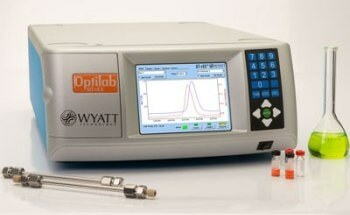 Optional modules for the TREOS II are the automated COMET ultrasonic flow cell cleaner and the WyattQELS DLS Module for measuring hydrodynamic radii down to 0.5 nm. 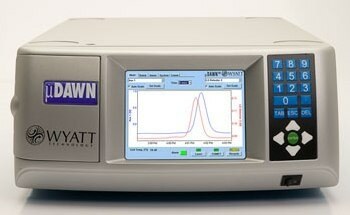 The miniDAWN TREOS II may be upgraded to UHPLC by simply swapping the standard optical module for a micro flowcell optical module. 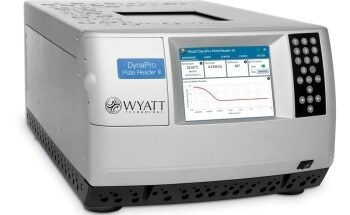 The TREOS II can be used in batch (off-line) mode or along with a Calypso II II CG-MALS system for both characterization of average solution properties and macromolecular interaction properties including complex stoichiometry and protein-protein binding affinity. With the TREOS II and ASTRA, SEC-MALS is a lot easier. Sample-specific approaches are set up in three short steps with ASTRA's Method Wizard, and new capabilities for automatic data processing mean that it takes a single click from a sample to a full report of the size and molecular weight results. The TREOS II's System Ready monitor will even allow users to know when the system is totally equilibrated with low baseline noise, ready for operation. 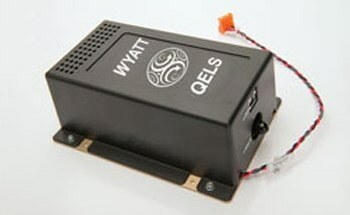 WyattQELS - A dynamic light scattering (DLS) detection module which combines inside the miniDAWN to offer concurrent DLS measurements in the same scattering volume. The optical collection fiber is held in a dedicated 135° fiber mount. 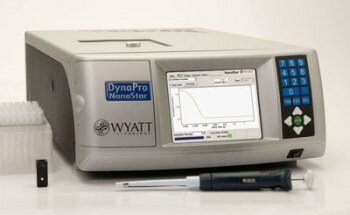 DynaPro NanoStar - Mainly used for batch DLS, the NanoStar does double duty as an online DLS detector by installing its optical collection fiber into the miniDAWN. 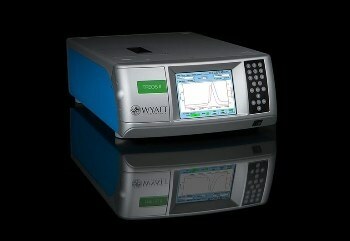 COMET - An ultrasonic transducer that cleans MALS flow cells automatically by agitating the fluid and releasing particles from the glass surfaces. Combines inside the miniDAWN. 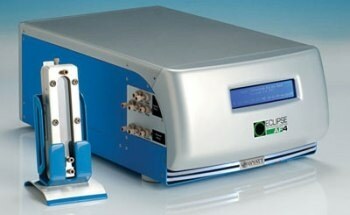 Micro-flow Cell Module* - A TREOS II can be upgraded to a µDAWN at the customer site by swapping the optical bench, which includes the laser and flow cell (Micro-flow Cell Module). 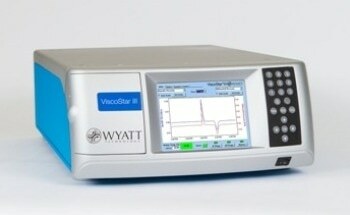 The light scattering detector is then ready for UHPLC application.